Please welcome guest poster Meg Lanzarone to the blog today! Meg is a friend of mine from college who recently put herself out there and applied for an AEA waiver to do a non-equity show. I asked her to write a post about what the approval process was like, so that we could all benefit from her experience. 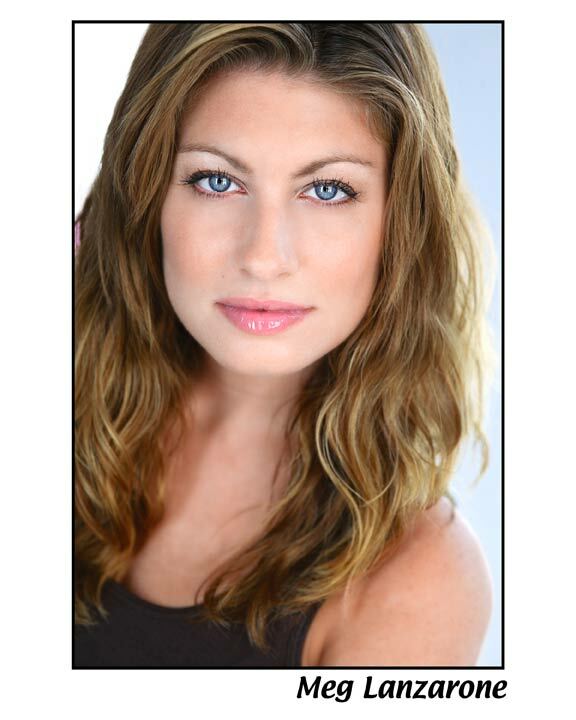 Meg is a fabulously talented actor, singer, and voiceover artist, and now she’s the resident expert on AEA waivers! I recently joined the Actors Equity Association in January 2012. Before joining, I was asked to perform with a brand new Non-union Theater company, A Modest Invention. They also happened to be friends from high school who I have worked with in the past so of course I wanted to be a part of their inaugural production. Some time had passed, and details were eventually sorted out with plans to collaborate with The Brooklyn Theatre Arts Project to secure an Off-Broadway location in NYC for July 2012. The companies decided not to apply for an Equity Showcase, so I had to apply for a waiver of permission from AEA to perform in a Non-union show. I was nervous to apply because I didn’t want to be rejected from performing in this project. However, it was either apply or hide it from AEA – and that was pretty much not an option. I went online to find out information about what to expect when applying, and I could not find anything. I only found a California article from the 80’s – not exactly up to date and trustworthy information. So I quickly blasted a facebook status with hopes that my AEA colleagues had applied for a waiver in the past and thankfully several friends shared their stories with me and I was relieved to find out that it wasn’t as difficult to be granted a waiver as I made up it up in my mind to be. Thank you facebook for your social media saving graces. This is how I applied for my AEA waiver: During the first week of June 2012, I went to the AEA NYC office on 46th street. I initially went to the Membership window on the 14th floor, but the woman there told me to visit the 15th floor with specific instructions to see Zalina Hoosein. I immediately went up, told them I was looking to apply for a waiver and it turns out Zalina was out of town for that week so I spoke with her assistant Laura Schuman. Basically what happened was this: Laura had a clipboard and asked me questions about the show I wanted to apply for. Questions like “when were you asked to do this project?” “how long is the run?” “how is it being promoted?” “what are the ticket prices?” and “how long is the rehearsal process?” She asked me more questions of this nature, and all I did was answer honestly to the best of my knowledge. I decided it was better to be upfront than try to hide anything from her. I didn’t know, and still don’t know, how they decide who would be granted these waivers, so for me honesty was the best policy. At the end of the meeting Laura gave me her card. Since her boss was out of town, she had to wait until she returned to pass along my information. Laura said if I did not hear from her by the beginning of the following week that I should give her a call. So the first week passed and I waited until Thursday of the following week to finally get in touch with her. After slightly stressing for a week and a half, Laura informed me that I had been approved and sent me my letter of approval via email. She simply told me if anyone else in the cast was Equity to pass along the information that the show has been approved for all AEA members and they should notify AEA for their own approvals. I was the only Equity member involved in the show so this did not apply to my situation, but I was happy to hear the acceptance and “not such a big deal” tone in her voice. I was very happy to have been able to perform in “Where’s My Money” by John Patrick Shanley this past weekend and the show was greeted with such amazing feedback and I was so thrilled be a part of the piece. What I still think we need to understand is what projects get accepted and which do not. Do ALL get accepted? That’s what it seems like based on my experience and the experiences of other AEA members, but I don’t want to make any novice assumptions. I do know that each waiver is on an individual show basis and when you see *Appearing Courtesy of the Actors Equity Association next to someone’s name in a program that means they have been approved by AEA. If you are really passionate about a project definitely apply for a waiver – it was really worth it for me. I hope my story was able to shed some light on the whole waiver approval phenomena. Keep your chops strong my fellow performers!!! Thanks so much for sharing your experience, Meg, and congrats on getting approved! Please join me in thanking Meg for enlightening us all, and be sure to check her out on youtube and twitter if you haven’t already clicked over to her website! Me, too! That’s why I asked her to share. At least according to the rules, things like ticket price (max $18), duration of performances (max 4 weeks), number of shows (12 or 16), break times between performances, having insurance on file, etc. all matter. My guess is the approval process is comparing the answers the actor gives to those rules, and any answers that don’t fit the rules are grounds to reject the application. P.S. I’m not an actor or in the field, just someone who was interested in what that “courtesy of Actors’ Equity Association” meant and did a bit of research. Thank you for posting about this! I am hoping to do a play within my acting studio and just realized that being equity I can’t. I was googling around and found your article. Thank you for the information. I just sent them an email (I’m in Orlando.. so can’t quite show up in the NY office) and am hoping to get a response soon. I’m hoping for good news! Great Article. Thanks for the info. Does anyone know where I can find a blank equity showcase form to fill out? Hi Meg. Well it looks like either you were very lucky or they changed their rules since you applied. To make a long story short I joined AEA recently after retiring from a 30 year day job and thought it would be great to pursue stage acting full time and joined . I am not a triple threat just a straight play actor and have some local theatre experience and did a lot of low budget films while working my day job. I admit I went in blindly and after a year of being in I realised I probably joined a little too early and I needed to gain more stage experience and build some more credits for my resume in order to start landing Equity jobs.I was offered a nice role in an off off broadway 45 seat production. I read your experience here and thought why not try the same. I called membership and explained my situation. She told me no. They would not do it for anyone under any circumstance. Even if I took a leave from Equity I still could not perform in a non Equity production. The only way I could was to resign completely and if I decided to rejoin later I would have to pay the initiation fee again. Well I have decided to do the play anyway and if I get found out explain my situation to them and hope they understand and don’t give me the boot. I Just thought I would post my experience here. It could be hit or miss. Maybe someone else will reach a different person and get a different response. But this is the response I got. Peace.